Manchester United have failed to keep pace at the top of the Premier League, and Rio Ferdinand is desperate for them to arrest their slide. RIO FERDINAND BELIEVES Manchester United require urgent changes if they are to return to the top of the Premier League. 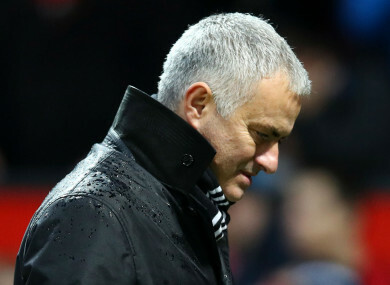 United sit sixth in the Premier League, well behind the top two of Liverpool – who Jose Mourinho’s side face on Sunday – and Manchester City. The Red Devils have not won the league since 2013, and Ferdinand, who claimed 14 trophies during his 12-year spell at Old Trafford, insists that big changes need to be made if United are to challenge for the title over the coming seasons. “The current situation at Manchester United is not good,” Ferdinand told reporters in Kenya. United finished second in 2017-18 with 81 points, though that was 19 shy of the record total set by Pep Guardiola’s City side. And Ferdinand feels City will still have enough to retain their crown this season, despite Liverpool’s challenge. “In the league, I think City are looking strong and better than any other team at the moment,” Ferdinand added. I expect them to receive a strong challenge [from Liverpool] but they should still be in a position to weather that. Email “Urgent changes needed at Manchester United - Ferdinand”. Feedback on “Urgent changes needed at Manchester United - Ferdinand”.